Despite being tempted by a number of great deals on televisions during Black Friday, I’ve already made up my mind that the next set I purchase will be 4K Ultra HD compatible. I get that there isn’t much content available right now and prices are astronomical but according to HS Kim, executive vice president of Samsung's visual display business, pricing will drop and consumer adoption will take off faster than anticipated. 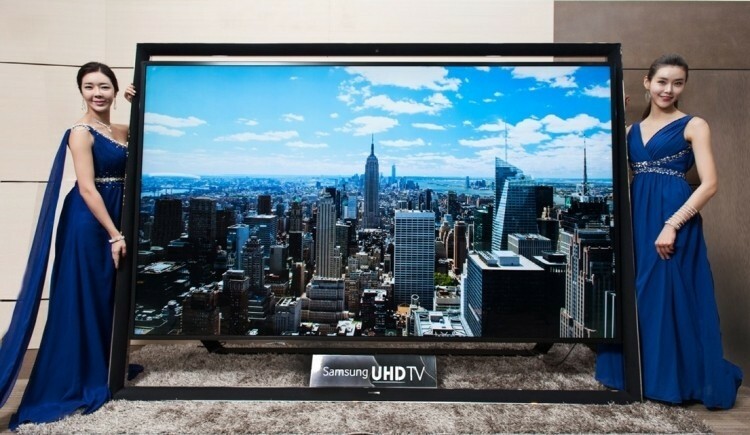 4K Ultra HD televisions are expected to be the next big thing in home entertainment. Unlike the short-lived 3D fad, 4K televisions will deliver real value with four times the resolution of current HD sets that populate the majority of households in the US. Samsung is leading the way as it has increased its 4K television lineup from just three models last year to 10 this year, ranging in size from 50 inches up to the 110-inch monster that was on display at the Consumer Electronics Show this week. Industry experts predict that just under half a million 4K sets will be sold this year versus just 60,000 during 2013. Kim noted that people usually change their phones every two years because handset makers add new value but with televisions, that cycle currently sits at six years. The executive said Samsung wants to bring more value to televisions so consumers will be tempted to replace their sets every four or five years instead. Joe Stinziano, Samsung Electronics America's senior vice president, added that he was unsure when 4K sets will gain widespread adoption but when it starts to happen, it’ll be a rapid transition. Once manufacturers start to hit key price points, old technology will no longer have a purpose in the marketplace.